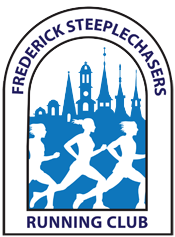 Thanks to our amazing Frederick Summer Solstice 8K team (Alex Young, Hermine Bernstein, Lou King, Harriet Langlois, Doorly Mora Winegar, and Melissa Frank) for working hard to put together this year’s extremely successful race. The 2018 Frederick Summer Solstice 8K raised $19,141.74 for Frederick’s Blessings in a Backpack. We not only run Fredrick, we give back to our community!